Click here to Pre-Order Lychees now! OVER 250 FARMS ANNUALLY IN MIAMI-DADE COUNTY, OUR TEAM IS TASTE OF REDLAND. WE TAKE PRIDE IN ONLY USING REDLAND RAISED AND FRESH FROM FLORIDA PRODUCE. and Fresh From Florida Produce. Ask their managers if it is local or you don't see your favorite items. Look for the TASTE OF REDLAND label when you're shopping at your favorite store. "A preeminent component to sustainable agriculture is maintaining the viability of farmers. In this time of retail consolidation, heavy regulation and intense foreign competition from free trade agreements, the viability of all farms, regardless of size, is in jeopardy. Redland Raised provides opportunity, for those consumers that care about the source of their food, to make informed and educated decisions on what to purchase." CLICK HERE FOR OUR 8-10 POUND April 2019 SEASONAL SAMPLER BOX FOR $35! Please note: Orders placed after 4pm will be considered the following business day. You can refer to the 'How it Works' page for more information. HELP TASTE OF REDLAND GET THE WORD OUT...I WANT TO BE A LOCAVORE !!! TAKE THE TASTE OF REDLAND CHALLENGE AND JOIN THE MIAMI LOCAVORE MOVEMENT. IT'S EASY, ON THE HONOR SYSTEM, JUST COMMIT TO SPENDING $50 PER MONTH WHEREVER YOU CHOOSE, WITH ANYONE YOU CHOOSE, ON LOCALLY GROWN FOODS. IN 2018 FLORIDA WAS #47 OUT OF 52 IN THE NATIONAL LOCAVORE INDEX. LET'S BECOME #1! Taste of Redland. Local. Farm-Fresh. Next-Day Delivery. Welcome to Taste of Redland! Be sure to check in often to see if your favorite fruits and vegetables are available, when in season. Taste of Redland aims to further connect the agricultural community of Redland with South Florida consumers, with the hope that everyone can experience the amazing taste of Redland-Raised fresh fruits and vegetables as if they picked it themselves. 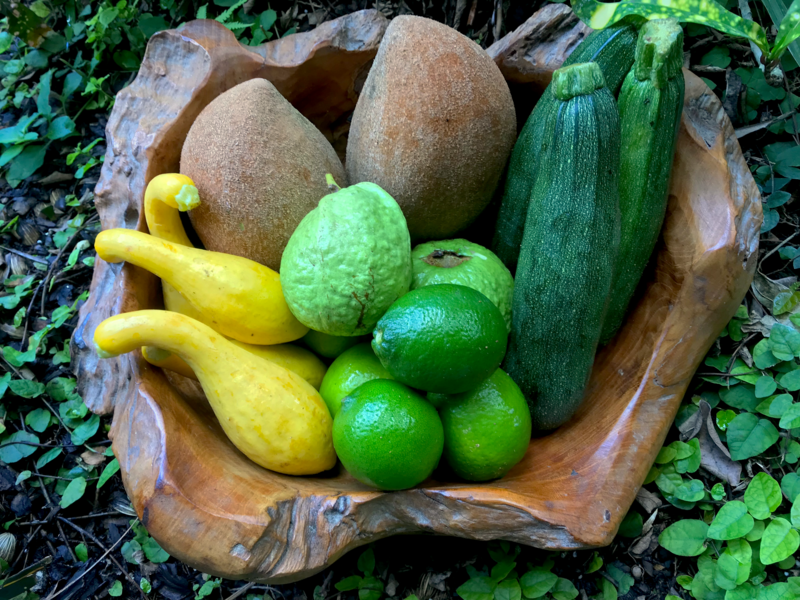 The Redland area is one of the largest producers of specialty and exotic crops in the nation representing a nearly 3 Billion dollar market, yet most South Floridians are unfamiliar with the abundance and varieties of crops that our local farms produce. We know it's hard to believe there is that much that grows just 30 minutes south of Downtown Miami, but it does, and it is quite beautiful. Taste of Redland offers a year-round convenient and affordable way for South Florida consumers and restaurants to purchase locally grown, fresh-picked produce when in season, with free next-day delivery. We also offer free two-day delivery to the entire state of Florida! When you buy from Taste of Redland we guarantee it is Redland Raised and Fresh from Florida, grown right here in the USA. Taste of Redland does not sell imports, and all produce sold is 100% non-GMO and GAP certified (Good Agricultural Practices). All orders are packed at Unity Groves in facilities that are Primus Certified annually (fields and facility), meeting all standards of FSMA (Food Safety Modernization Act), GHP certified (Good Handling Practices) and other federal regulations. Whether you’re a chef in Palm Beach, a tourist in a hotel, at home in Key West, visiting Disney World, living in Tampa, on Brickell Avenue, sunning in South Beach or beachside on Amelia Island, once you taste fresh-picked produce directly from a farm in Redland, you'll never settle for anything less!